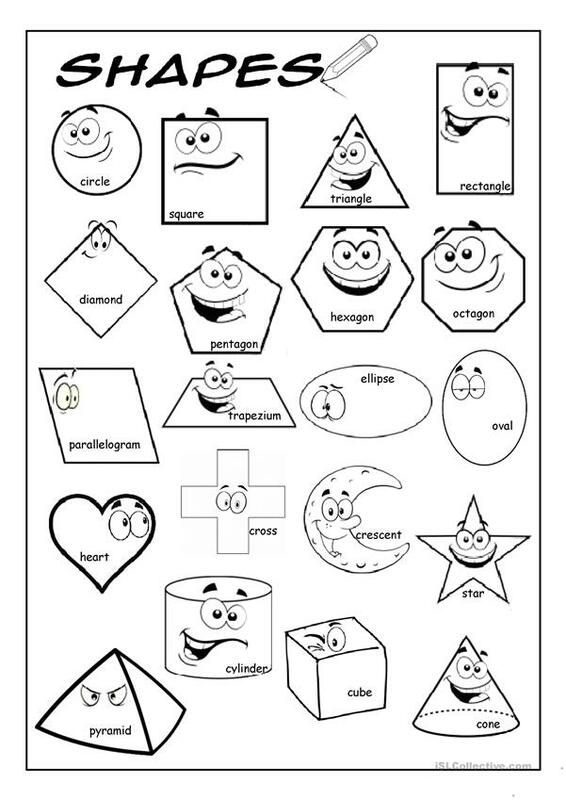 A picture dictionary for some basic geometric shapes. Fully editable, printer-friendly version. This printable, downloadable handout was created for high school students and elementary school students at Elementary (A1), Pre-intermediate (A2) and Intermediate (B1) level. It was designed for improving your learners' Spelling, Reading and Writing skills. It is about the topic and words of Shapes.